We are offering PP Reactor Vessel. Established in the year 2009, we “Dhoami Enterprise", Ahmedabad”, are well-established Manufacturer and Exporter of Chemical Storage Tanks, Industrial Scrubbers, Industrial Reaction Vessel, Industrial Reactor Vessel, Process Tanks, Charging Tank, Industrial Storage Vessel, etc. These products are made from top grade factor inputs using latest technology which ensures high durability and efficiency. Our products are fabricated under the guidance of skilled team of professionals who procure the factor inputs from only reliable and certified vendors of the market in observance with international quality standards. 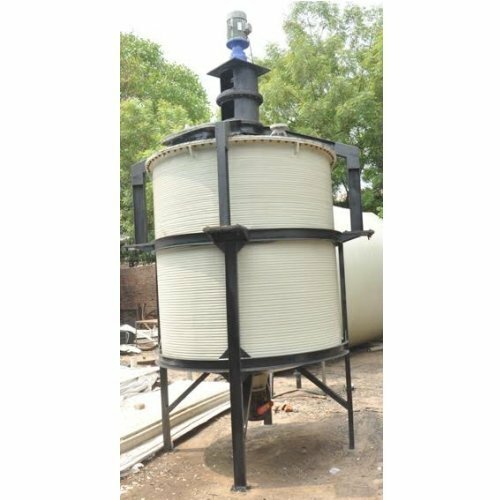 Our offered range encompasses Electro Plating Charging Tank, Plating Tank, Acid Mixing Tank, Chemical Storage Tank, Dosing Storage Tank, PP Reactor Vessel, HDPE Reaction Vessel, PP Reaction Vessel, Gas Scrubber, CO2 Scrubber, Wet Scrubbers, etc. This affluent range is valued by a large number of customers due to their high quality, durability, sturdy construction, high tensile strength, less maintenance and longer service life. In order to meet the diverse needs of our clients, we also offer these products in various designs and finishes. Besides, clients can get these products as per their precise requirements through our customization facility. These products are extensively used in various industries as per their specific requirements.